The future of life science will be created by the scientists that master advanced computational methods for dealing with big-data, high-throughput genomics methods and study the most important medical problems, such as how to cure cancer and improve health. If you want to become a part of the future for medical research and share our vision that only be a combination of experimental and computational metods significant progress can be made the Swedish National Research School in Medical Bioinformatics is for you. The school is aimed at PhD students who recently started (or will start soon) their PhD studies at a Swedish university and have an interest in medical bioinformatics or related subjects. The research school is backed by a large group of bioinformaticians from all the major universities in Sweden. These professors will teach a number of courses available for free for the students on the research school. The school will be jointly coordinated by four scientists working at SciLifeLab in Stockholm. However, the most important contribution for you as a student in the research school is not the excellent courses, but the unique network you will gain. In addition to the a yearly contact with the other students in the school you will network with the leading bioinformaticians in Sweden in a mentor program. For the first year we will primarily accept students who start(ed) their PhD studies between Jan 2016 and April 2017, but other students are also welcome to apply. Application deadline is Feb 28 2017. The program is limited to 20 students. Please help us spread the word to relevant students. I got an email about the call for PhD students to apply and have the oportunity to learn bioinformatics. I am really interested in the topic and have been doing many online courses. But i am a PosDoc and therefore I cant apply. Do you have plans to open the same type of oportunity for PosDocs? If space given the courses will be open for other participants as well, but we do unfortunately not have funding for any particular program for postdocs. Thank you very much for the fast reply Arne, in this case, will you inform that you have extra space and we apply afterwards? I think what Arne means is that you should look at the courses, find one you are interested in, contact the teacher for that course and ask for permission to audit. I would think it would help to tell the teacher about your research interests and how they may align with the course objectives, and with the interests of the teacher and other students. am interested to apply too yet i have some concern regarding the courses how long they will take? We are certainly going to show some flexibility, so please apply. The plan is that each course should be one week on place, but they might also require some preparatory work to do before and some assignments to finish afterward. This is to make it possible to not interrupt to much with your research. I grasp its a 3 year of courses, around 2 per each semester. how long i will be occupied and so on. If you have some programming experience one week I think and perhaps a few more days finish an assignment. If you have no programming experience probably more.. Welcome to our 2019 incoming class! 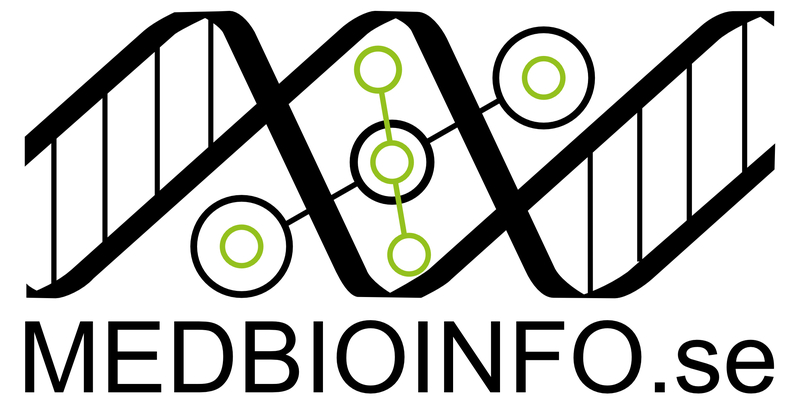 Join the Swedish Bioinformatics Workshop 2018!